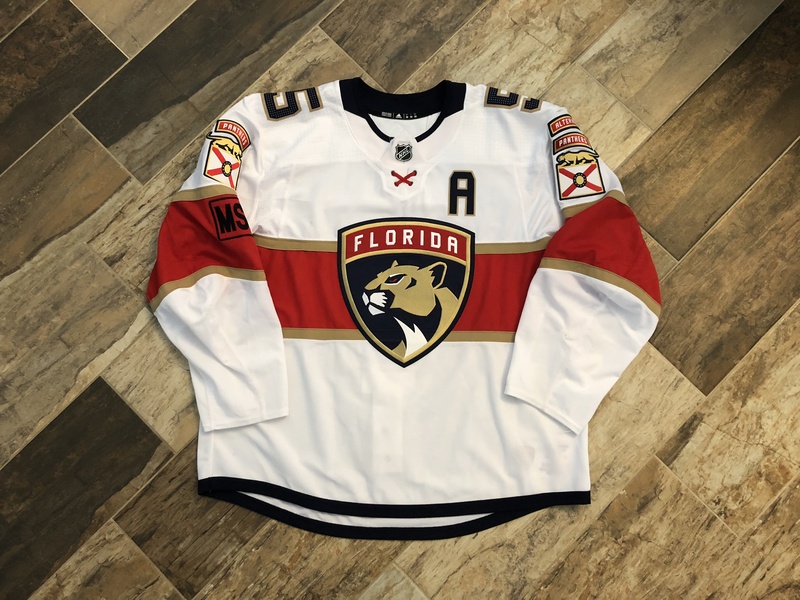 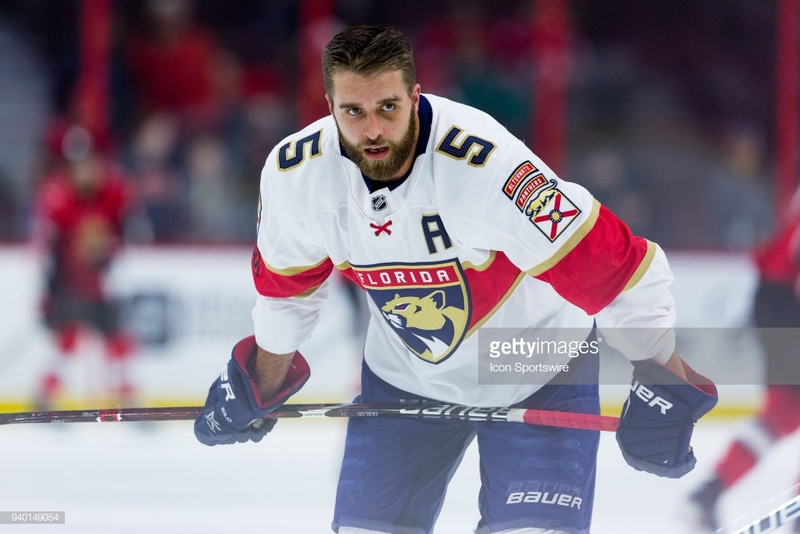 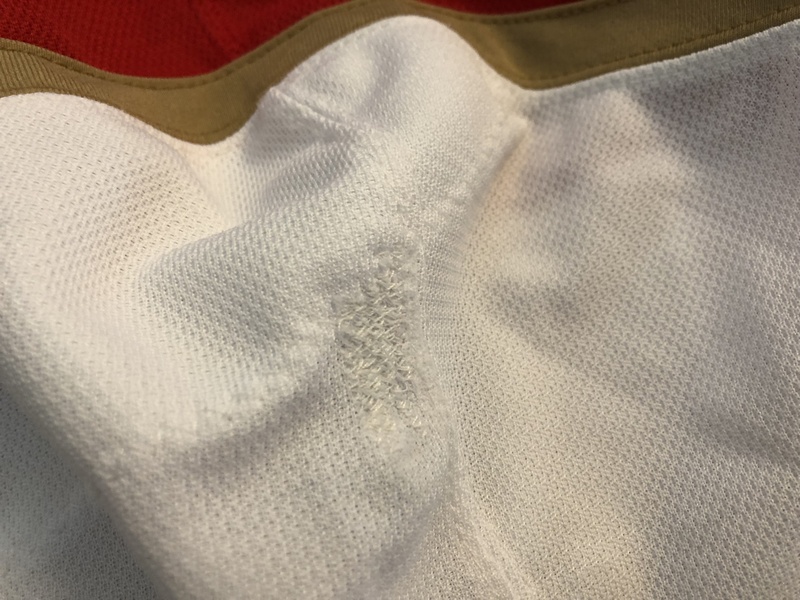 The jersey was worn March 19th-April 8th 2018 and has great wear. 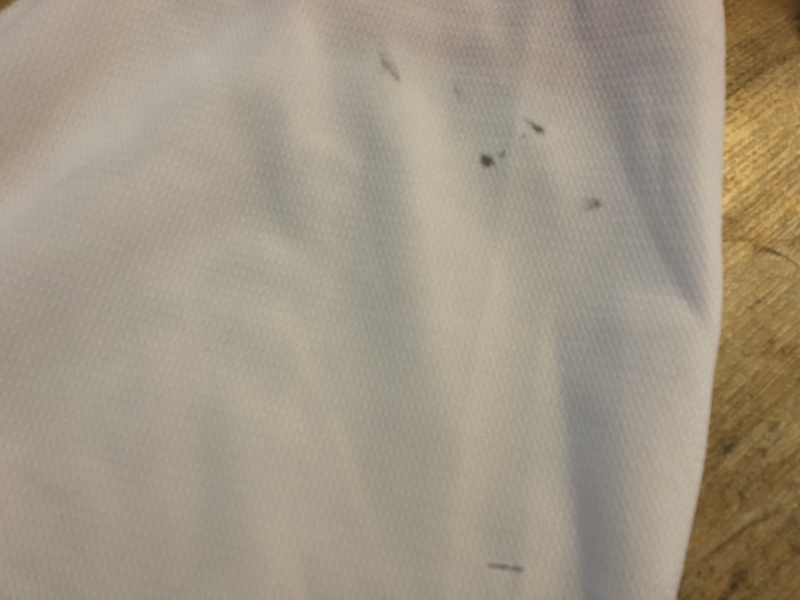 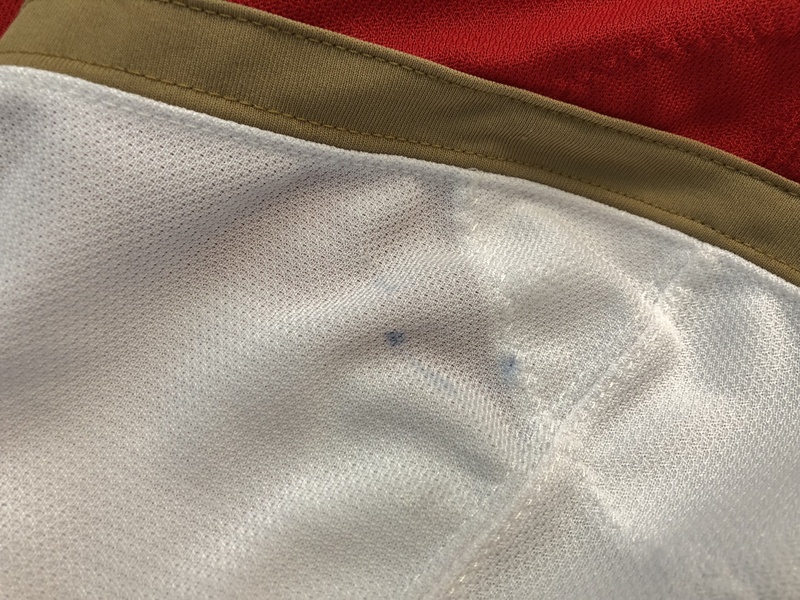 There is a repair on each sleeve and marks all throughout. 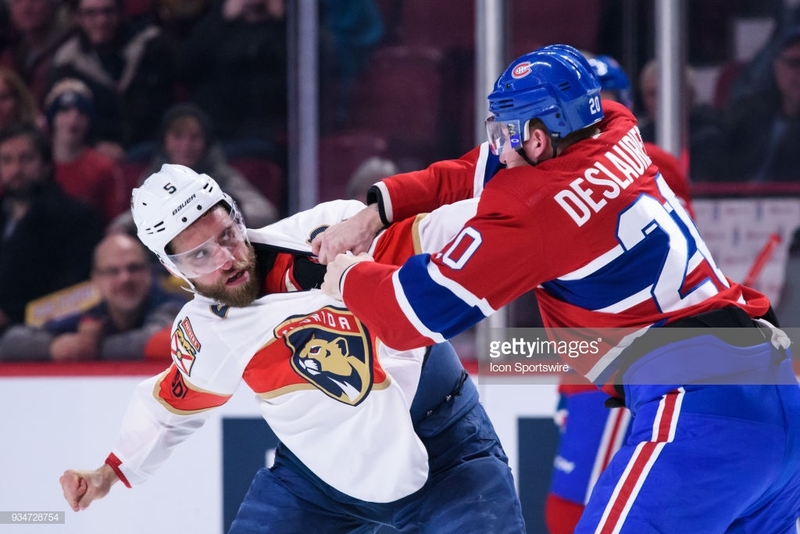 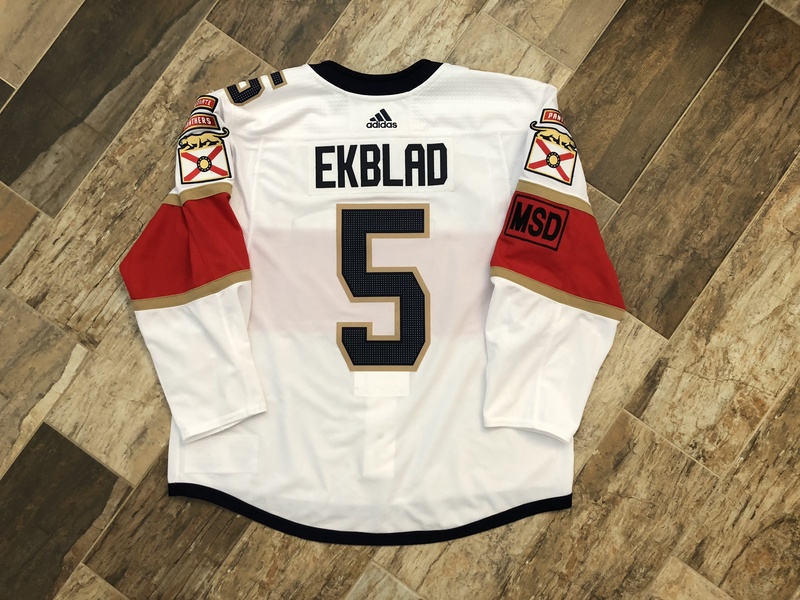 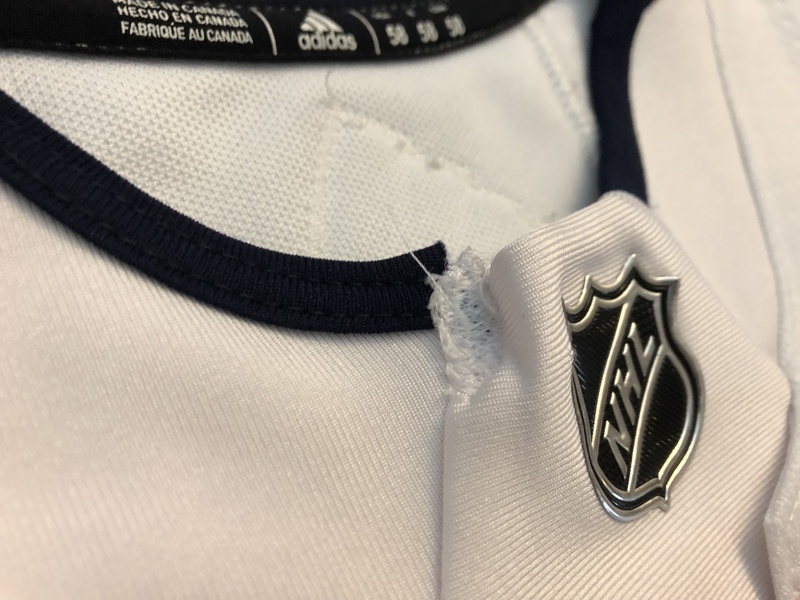 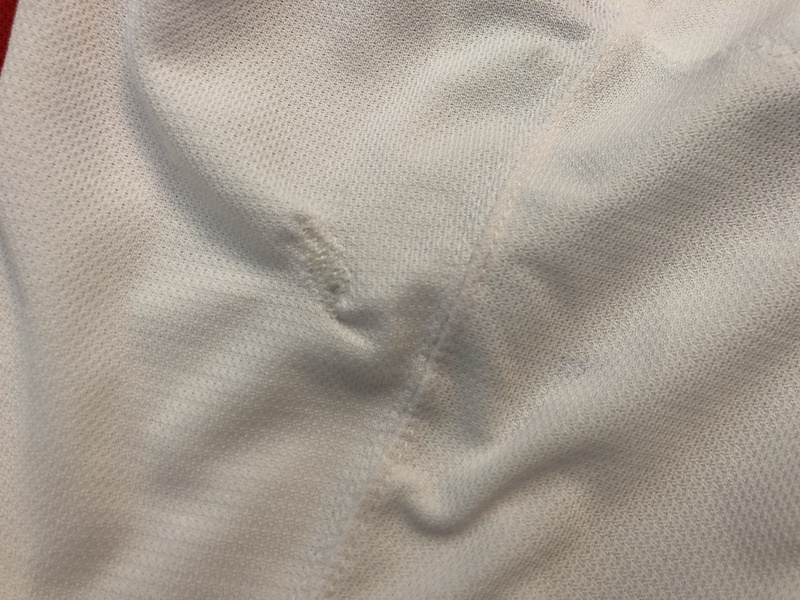 The collar has been repaired due to a fight with the Canadiens Nicolas Deslauriers during the first game of the Set 3 jersey. 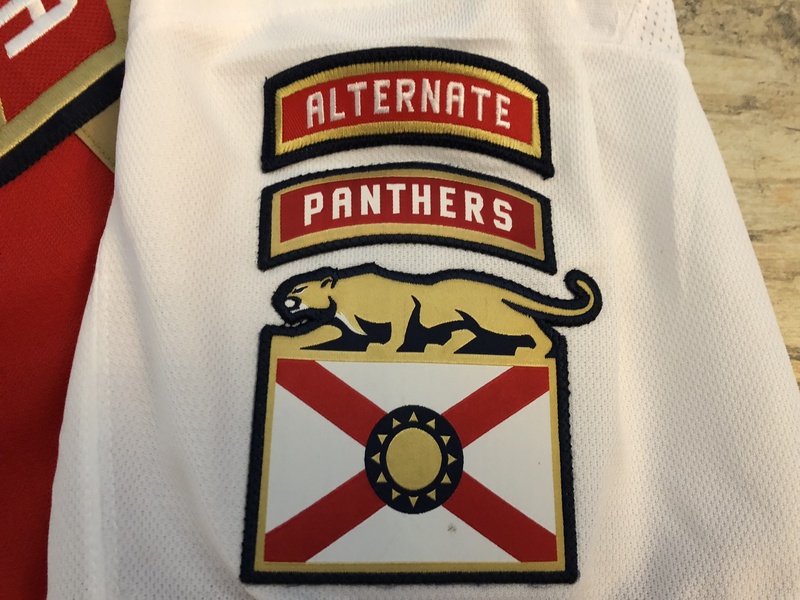 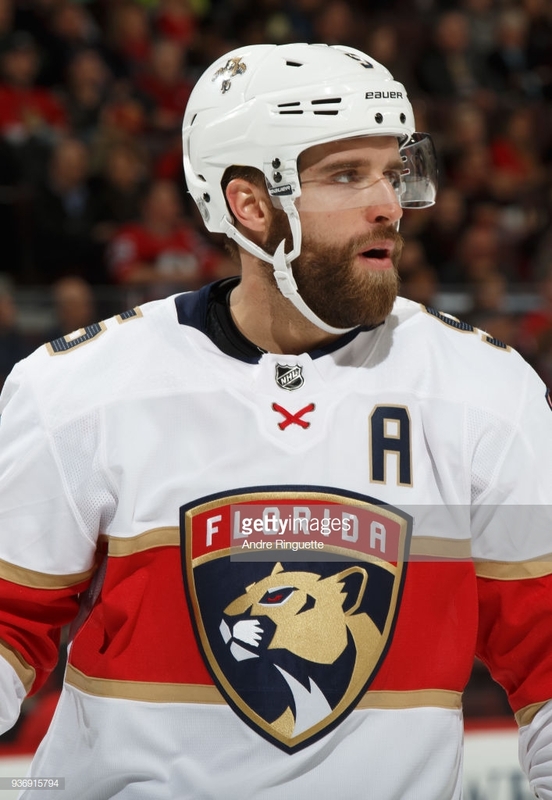 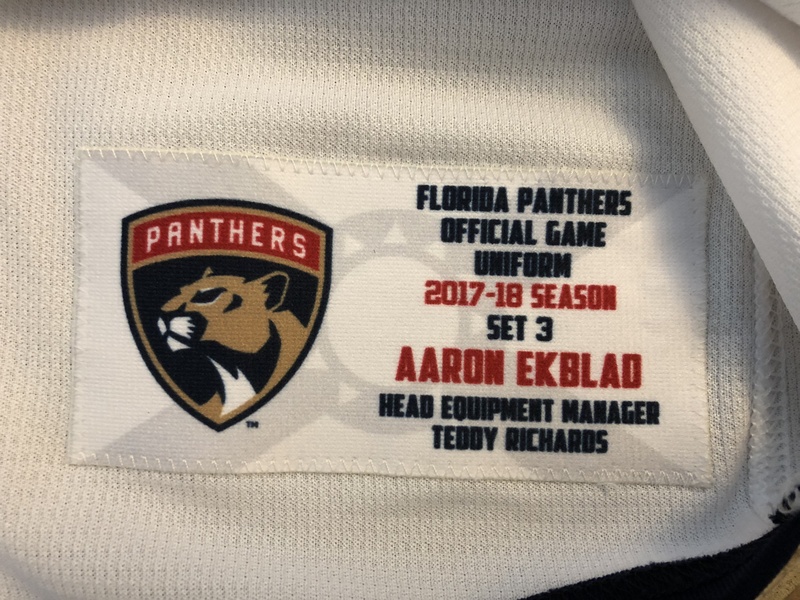 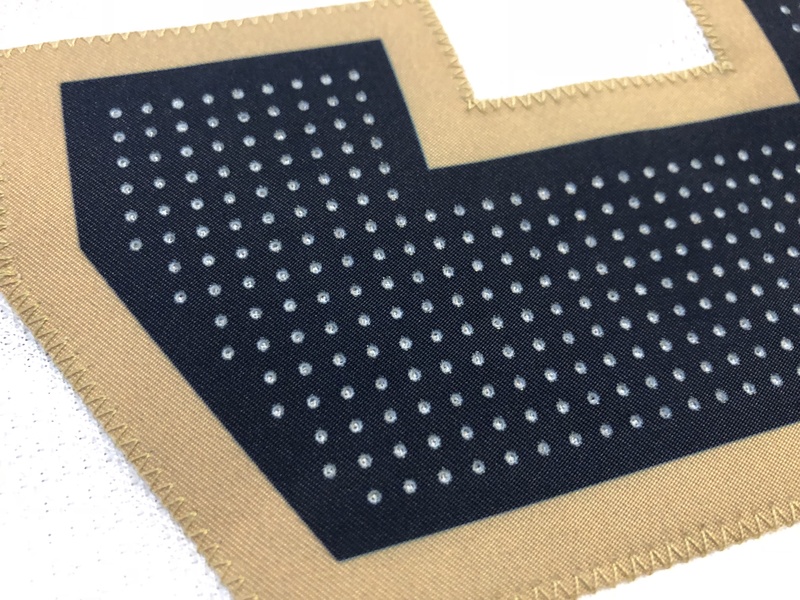 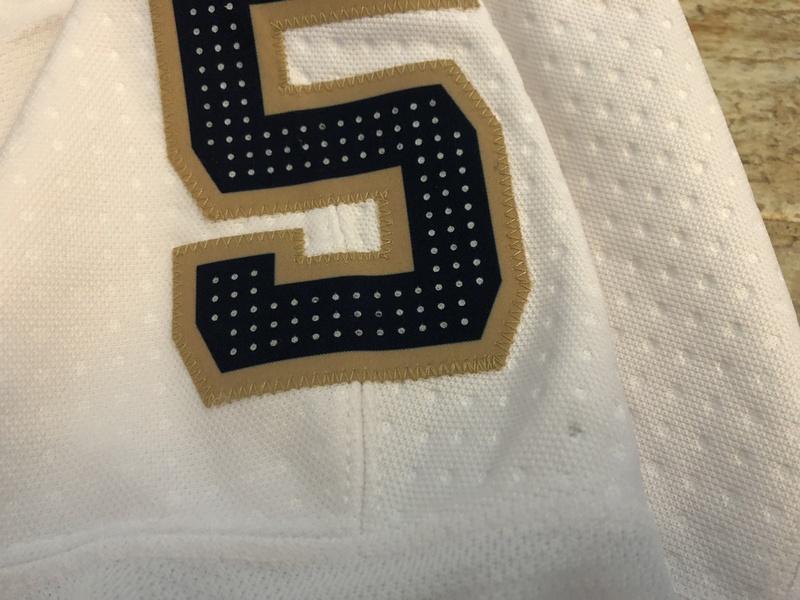 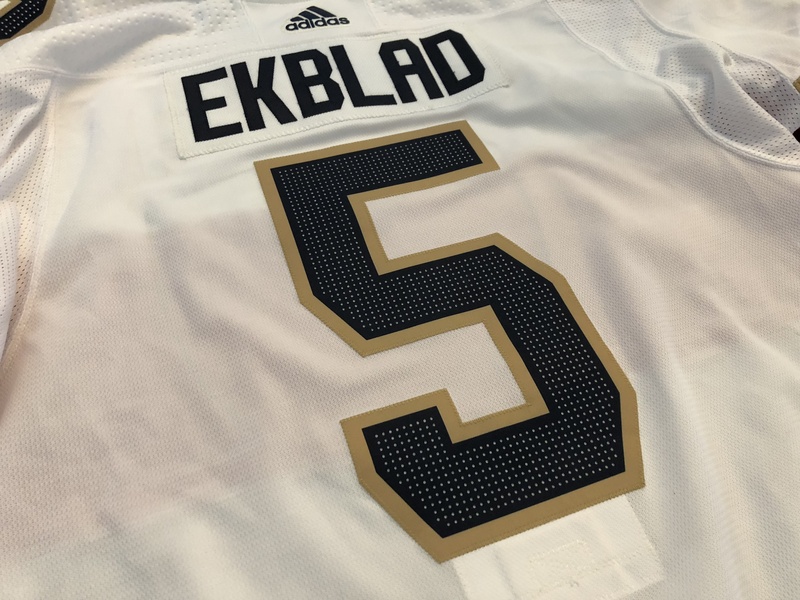 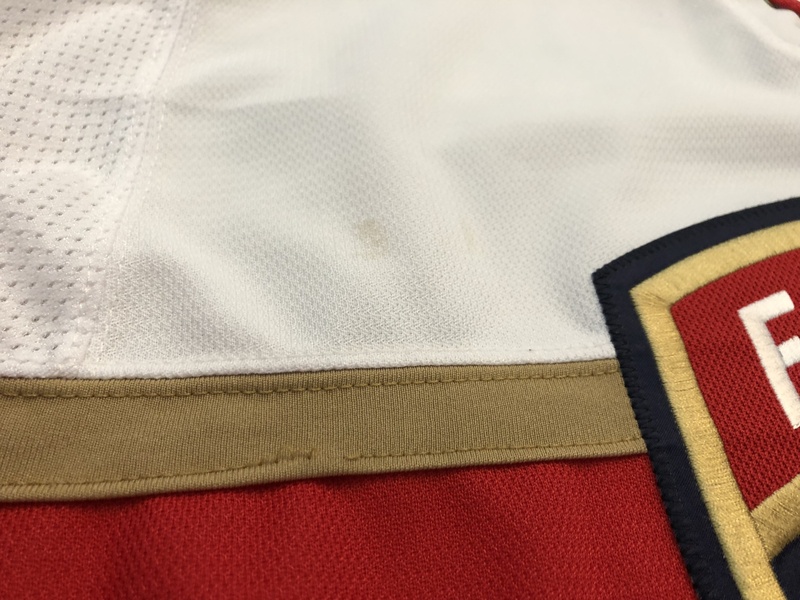 The jersey has the assistant captain’s A as well as the Alternate patch on the left sleeve. 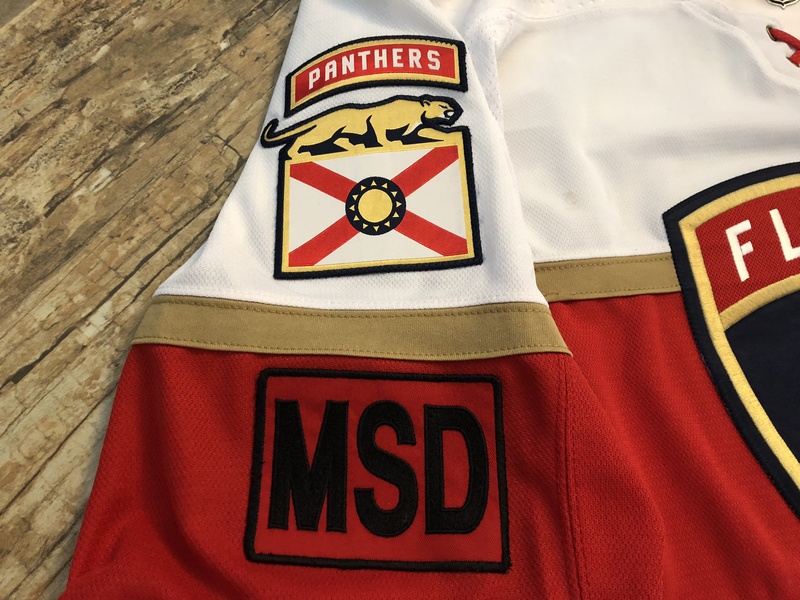 The right sleeve has the MSD patch honoring the Marjory Stoneman Douglas victims.